For the first time in 11 months, GDP has shrunk in Canada. Uh-oh. Are we not so soundly on the way to recovery? Are we all going to DIE? Well, no…it’s not that serious. Not even close. But it’s still not great. Everything seemed to be going along just fine– Carney raised interest rates three times in a row and GDP continually grew. But now, things have changed. And Carney blames an unsustainable housing market. While Canada’s recovery has been the envy of the Group of 7, it has relied on levels of consumer spending and investment in housing that are proving unsustainable, Mr. Carney said. Both areas of the economy have slowed since the first quarter of this year as interest rates began climbing again and as worries mounted over the health of Canada’s main export market. I guess we’re not the world’s Golden Boy anymore, we’re faltering too. 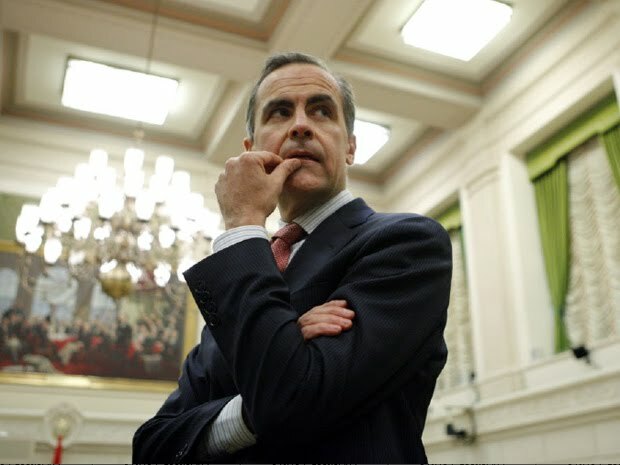 Carney is going to have to really consider whether or not to continue his rate hike campaign– and I’ll bet he decides to stop (which could mean that retail banks lower your mortgage rates…but I doubt it). Hopefully stalling rate hikes will get Canada back on track. But really, what needs to happen is that the US has to start buying from us again. But with the loonie almost at parity, our exports aren’t looking so attractive. Plus, the US simply isn’t spending what they used to be. So, it’s worrisome. But hopefully Canada will be the envy of the G7 once again. *Sigh* What’s a central banker to do?